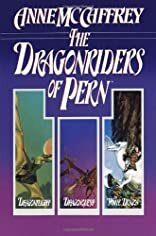 A nice like-new omnibus book club edition hardcover with dustjacket containing three novels in Anne McCaffrey's The Dragonriders of Pern series: Dragonflight, Dragonquest, and The White Dragon. About Anne McCaffrey (Author) : Anne McCaffrey is a published author. Some of the published credits of Anne McCaffrey include Acorna's People (Acorna (Paperback)), Dragonflight, Dragonsong, and The Girl Who Heard Dragons. 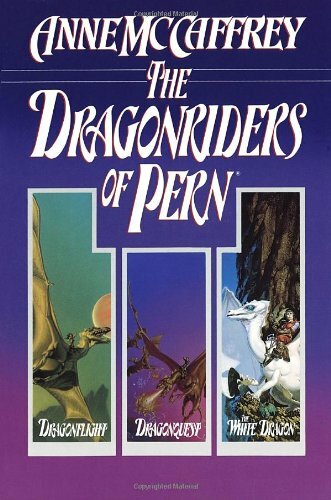 6/4/2008 Dewanna Durbin said: I love, love, love Anne McCaffrey's books of Pern.